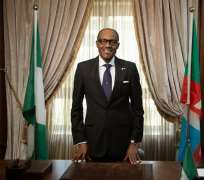 Buhari's One Year In Office: What Has Changed? The end of a matter can be presumed by the occurences in the beginning. The lack-luster approach of the APC government,on take-off to some sensitive national issues should be of serious concern to discerning minds. The actions of the APC government at the centre have not in any way shown any appreciable level of preparation or readiness for the expected and anticipated of a ruling party in Nigeria. The party has not in any way justified its so much flaunted mantra as a change agent. What happened in the National Assembly during its inauguration had shown a poor management of political power and electoral success by the APC leadership which resulted in crisis because of lack of consideration for every region and interests. Looking at some of the steps taken so far by the present government, it is clear and obvious that APC as a party in government lacks the credentials and potentials of a true change agent. It does not possess the required skills and knowledge of the change process. It is highly disappointing that the ruling party does not understand neither has it come to terms with the complications and complexities of governance at the federal level. This lack of understanding and cluelessness has led to the failure of government to identify and appoint competent and experience people into sensitive positions in government that should not be left vacant for too long. This has also led to the chaos and apparent confusion created by the party in its bid to assuming leadership of the country in the current dispensation. The change Nigerians are getting, if there is any change at all, is not the change they voted for. What we've been witnessing since the assumption of office by the APC is nothing but failure of governance. The APC has failed in its fickle efforts to take the country out of the doldrum. The country has been shricken from darkness to loom. The kind of change that is being practised in Nigeria has delivered neither improved standards of living nor abstract benefits such as improved health care services and security of life and properties of the citizens. What we all signed up for is not what we all signed up for in March 27 last year. I have sensed a disturbing complacency in our politicians and intellectuals as they try to enunciate the benefits the change government has given Nigeria. This tragic enundiation troubles me personally because the assumption is that even as Nigerians groan under the weight of multiple deprivations and economic crisis, we can take solace in the knowledge that we have change and that the change would soothe our pain. Change has, far from doing Nigeria good, set the country back since the assumption of office a year ago and provided a perfect alibi for the political class to bankrupt and bury the country once and for all. They've been throwing excuses at Nigerians to the extent that they've been successful in brainwashing the larger populace of Nigerians- both educated and non- educated. The change that is being practise in Abuja is fractured beyond recognition; it is not what Nigerians signed up for in April 27. It has produced isolation in the name of commerce. The country's future has not being this bleak. To be sacred with the truth, Nigerians find it very convenient to accept, tolerate and accommodate deceit instead of truth. We justify the unjust. Living in this country has always been a replay of the Hobbesian state of nature where life is “nasty, brutish and short.” With all sense of responsibility, I make bold to say that Nigeria appears to have turned out to be one of the most dangerous countries to live in the world today. Everywhere one turns, one is confronted by threats to one’s life. No one and nowhere are safe. We are not even safe in our homes. If one does not die from a building collapse, one is sure to be dispatched to the great beyond by a policeman’s riffle or bombs from deranged Boko Haram extremists who have killed more than 20,000 Nigerians in the last four years or by Fulani extremists who kills in the guise of going about with the normadic nature. Death stalks the land like a shadow. The economy has been in comatose since the Change assumed office and everywhere on turns to in Nigeria, you are confronted with people complaining and wailing. Yet, the people, many of them who are deranged won't continue in being optimistic of the faith they have in a Change regime that is yet to turn the table around. The initial expectation of an average Nigerian was very that the Change government would definitely bring good tidings that may completely obliterate the gory memory of the inglorious past. But, facts on ground seem to prove the optimists wrong. The government of the day is putting in its best that by now the citizenry should be experiencing the goodies of the change they voted for down to the grassroot has being a total failure. The fact is that the Change agents brandishing the Change mantra seem not to properly comprehend what CHANGE really connotes. However, the Change agents are far from being aware of the truth. The people have been left to gnash their teeth and rue lost opportunities since their ascension to the post. The APC-led Federal Government has failed in its ability to meet the material demands of the people and government. But, the government and its supporters have failed to agree that the economy is in perpetual crisis. Instead of finding a lasting solution to the problems confronting the nation headlong, the government as involved itself in witch- hunting the government of yesterday and casting sinisters and blames on its predecessor. The debilitating power situation of the country has rendered the economy to be in comatose which has resulted in declining industrial sector. The epileptic power supply, inconsistency in government policies have lead to the closure of multinationals and the migration of these companies to neighbouring countries. In his campaign and inaugural speech, Buhari promised to hit the ground running, it's a year now, the President is yet to get bearing not to talk of running. He promised to make some reforms in power, economy and other critical sectors, but, nothing has changed. The President and his political party gloated during the electioneering campaign that under their administration, power generation in the country would hit 40,000 megawatts, yet, the country has not go beyond generating 1,500megawatts of electricity for the whole country. It is because of the epileptic power situation in Nigeria that industries are collapsing and moving out of the country. The few surviving ones now spend a chunk of their profits to run generators and it is only a matter of time before they collapse too. Yet, the President and his acolytes think he is working. This is the time to tell Buhari to focus on governance and stop celebrating mediocrity over excellence. The concomitant effect of a poor economy is a lingering poverty problem which has bedevile our land today. The poverty conundrum in the country has assumed a frightening dimension. The Nigerian politicians have always compound the problem of poverty, want and squalor by getting involved in brazen corrupt practices. The situation the country find herself is so bad that without thinking of a way out of the doldrum, the situation might turn to be a disaster. And, to the President, it would be advisable not to engage in the funfair that always surround the One Year Celebration because the streets is weak and wailing. There has been no tangible achievement since the mantle of leadership fell on this government. I advise the government to go back to the drawing board and find a lasting solution to the woes facing the nation headlong. But, if this is the way the President and his acolytes want to take the government, then, it would be assumed that we are still on a journey to nowhere. Kazeem Olalekan Israel (GANI) Member, Pacesetters Movement, OAU. Disclaimer: "The views/contents expressed in this article are the sole responsibility of Kazeem Olalekan Israel GCAF and do not necessarily reflect those of The Nigerian Voice. The Nigerian Voice will not be responsible or liable for any inaccurate or incorrect statements contained in this article."